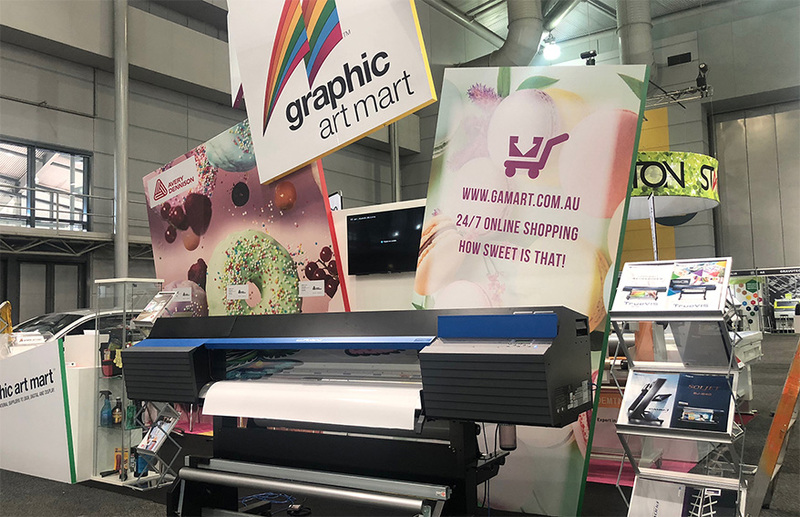 Visual Impact Brisbane 2018 was a fantastic show, with lots of new and exciting products on display. We demonstrated the latest release from CWT Worktools, the Platinum Table, fitted with height adjustable electric columns for better user ergonomics and an extra wide gap under the roller for applications on thicker boards. The team from Exclusive Wraps did an amazing job transforming a Ford Falcon G6E using Avery Dennison Supreme Wrapping Films and Arlon’s SLX Cast Wrap. Our touch walls showed the range of unique finishes available for walls and other interior applications that are available from Avery Dennison and Mactac. See us at the next Visual Impact show in Sydney in September 2018!